Many weddings are held in winter. 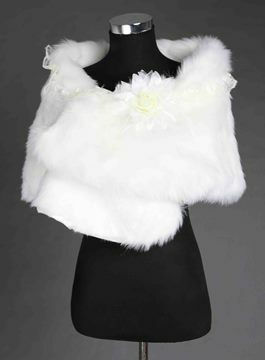 In consideration of beauty and warm, some brides choose to wear wedding jackets. Actually, this is a wise choice. 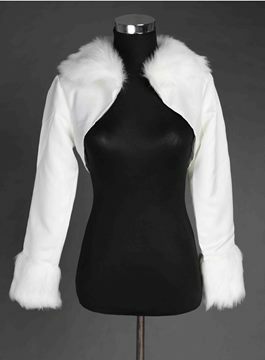 Suitable wedding jackets online can complement the style of wedding dresses and make the wearers look more attractive. 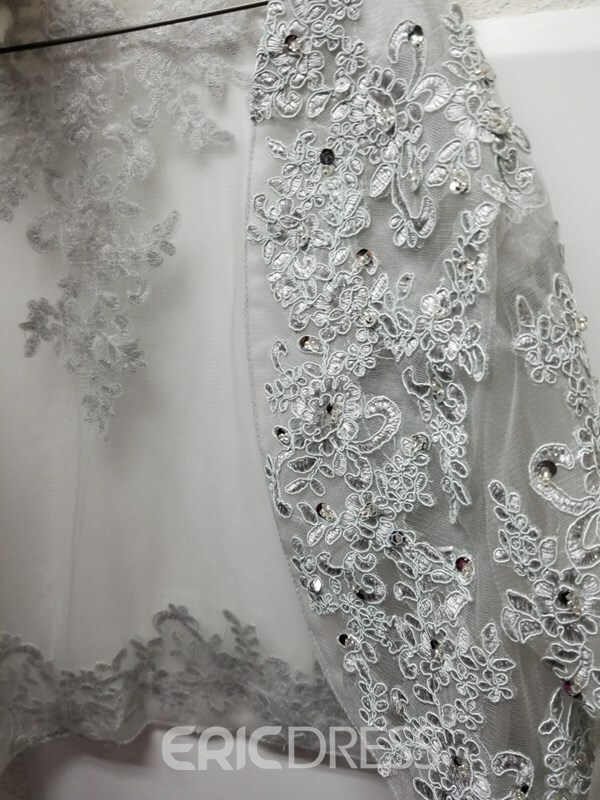 On Ericdress.com, various designs of wedding jackets are prepared for you. 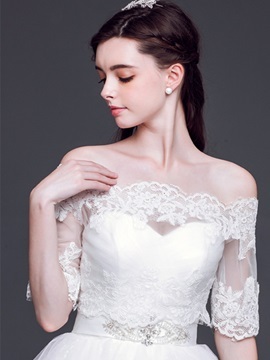 If you have no idea which style of bridal jackets to buy, you might as well have a try at lace wedding jacket for sale, which will highlight your elegance and modesty. This is so beautiful. The material is somewhat stiff, but i believe with wear it will loosen. Overall great product. Not very Blue, Is closer to the color of my Wedding dress, custom size fits very well thank you. Very Beautiful and love all of the pieces! cost me 500 dollars Canadian for veil, Bolero Jacket, Wedding Gown, and Petticoat! way less than bridal stores and more of what I wanted. Look forward to sending photos from our Day! Definitely love this bolero! Oh gosh this is perfect. Love the style and the details. 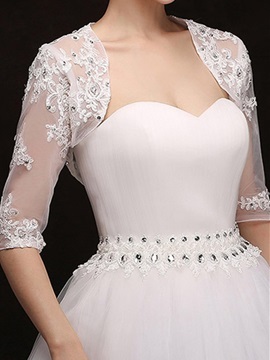 The lace is totally attractive. I also love the color. Definitely perfect for wedding occasions I attend. Already got it and it's very comfortable and the fabric used is perfect. I will tell my friends about this site for sure. It makes me look so stylish perfect with my jeans. This is my favorite! Totally love the design and the style. The stones putted are very charming and attractive. The fabric used is also nice, very smooth and soft. Already got my order and it's incredibly nice and soft. Such a well made and high quality sleeve. Totally perfect for my formal occasions. All I can say is that it's gorgeous and elegant. Grateful to find this site. Lovely dress! Very formal and appropriate for my formal occasions. Love the colors and the details of the design is amazing. Elegant and stunning dress. Bought this already and it's very comfortable to wear! The cloth used is very soft and smooth. Also the sleeves are very classy and not hassle to wear. Totally love this dress. Thanks! This is perfect! Love the colors of this jacket, very classy. Such a useful jacket in my office or even on ceremonies. Love the flower design on the side, very attractive. Also the cloth used is very silky and nice, really nice and comfortable. Already bought this and I really love it!